professed reason for the change was that Army planners had "always had in mind that after the ground forces were well established in the Aleutians the command should pass to an air man as that would be the principal arm of operation. "42 It is far more likely that the real reason General Marshall proposed to make the change in command was to permit a quiet shift in personnel that would eliminate one basic cause of friction between the services. At any rate, after the Alaskan naval commander had been replaced, and after a close and harmonious working relationship developed between his successor and the commanding general of the Alaska Defense Command, the matter was not pressed. 1. Notes on Conf in OCofS, 10 Dec 41, OCS Conf, binder 29; Memo, G-2 for CofS, 20 Dec 41, WPD 4557-35. See aiso Matloff and Snell, Strategic Planning, 1941-42, pp. 142-46. 2. Notes on Confs at White House, 28 Dec 41 and 28 Jan 42, in WDCSA 334 Mtgs and Confs (1-28-42); Memo, CG ADC for CG WDC and Fourth Army, 3 Jan 42, AG 381 (12-5-41) (2); various papers, dated 9-27 Jan 42, in WPD 4557-43. 3. Memo, CofS for President Roosevelt, 21 Jan 42, WPD 3512-751; Memo of Harry Hopkins, 16 Feb 42, Calendar of Hopkins Papers, bk V, item 7. 4. Paper, prepared by CG ADC and COMALSEC Thirteenth Naval District, 31 Jan 42, title: Joint Army-Navy Plans for Alaska, WDCSA 381 War Plans. 5. Memo, CG WDC for CG FF, 21 Feb 42; Memo, COMINCH for CNO, 21 Feb 42. Both in OPD 381. 6. Memo, President Roosevelt to Adm Stark and Gen Marshall, 4 Mar 42, ABC 381 (1-23-42). 7. Incl A, JCS 16/2, 19 Jun 42, and other papers in ABC 381 (1-23-42); Memo, WPD for TAG, 24 Mar 42, WDCSA 381 War Plans. 8. Memo, OCofS for TAG, 11 Dec 41, AG 320.2 (12-11-41) (2); Rad, CG ADC to CG WDC, 22 Dec 41, ADC 381, vol. II; Memo, ACofAS for CofS, 27 Dec 41, and other papers in AGF 320.2 Alaska, binder 1. 9. Strength of the Army, 1 Nov 47, p. 42; Troop Basis Chart, ADC, 26 Jan 42, AG 320.2 (2-3-42). 10. 1st Ind, CG WDC to TAG, 11 Dec 41, on Ltr, TAG to CG WDC, 4 Sep 41, ADC 381 Def Plans, bk. 3; Memo, CG WDC for CG FF, 4 Mar 42, AG 452.1 (7-24-41); Conn and Fairchild, Framework of Hemisphere Defense, p. 394. 11. Memo, WPD for TAG, 5 Mar 42, WPD 4464-7; OCofS Interoffice Memo, 27 Apr 42, WDCSA 452.1. See also Craven and Cate, eds., Plans and Early Operations, pp. 303ff. 12. Memo, CG Eleventh Air Force for CG ADC, 24 Mar 42, WDC-ADC 381-32, pt. I. 13. Memo, CG WDC for TAG, 1 May 42, and other papers in WDC-ADC 381/32, pt. 1. The Anchorage set was being reinstalled at Cape Cleare on Montague Island. 14. Craven and Cate, eds., Plans and Early Operations, p. 309. 15. Ltr, CG ADC to CG WDC, 22 Dec 41, and 2d Ind to same, GHQ to TAG, 19 Feb 42, AGE 320.2 Alaska, binder 2; Memo, WPD for SW, 3 Jun 42, WDCSA 000.7 Alaska; Dod, "Operations in the War Against Japan," ch. VI, p. 8. 16. Japanese Monograph 45, pp. 50-53; Japanese Monograph 88, pp. 1-6; Far East History, 11, 124-25. 17. Japanese Monograph 46, p. 10; Japanese Monograph 88, pp. 3-4. 18. Japanese Monograph 46, p. 7; Japanese Monograph 88, pp. 7-8, 20; Morison, Coral Sea, Midway and Submarine Actions, pp. 168-69. 19. MIS, WD Estimate 2, 19 Mar 42, OPD Exec 10, item 29. 20. Pers Ltr, Gen Marshall to Gen DeWitt, 29 Apr 42, WDC-ADC 384-7 Separate Envelope. 21. Rad, CG WDC to CG ADC, 3 May 42; Pers Ltr, Gen DeWitt to Gen Marshall, 3 May 42. Both in WDC-ADC 384-7 Separate Envelope. 22. Memo, G-2 for CofS, 17 May 42, OPD 381-42 WDC; Rad, COMINCH to CINCPAC (Info copy to CofS), 21 May 42, OPD Exec 8, bk. 5. 23. Rad, CG WDC to CG ADC, 20 May 42, ADC 381 Def Plans, bk. 4. 24. Morison, Coral Sea, Midway and Submarine Actions, pp. 165-74. 25. Rad, COMINCH to CINCPAC, 21 May 42; Rad, CINCPAC to COMALSEC, et al., 23 May 42. Both in WDCSA 000.7 Alaska. 26. Rad, CTF 8 to CINCPAC, 28 May 42, OPD Exec 8, bk. 5. 27. Memo, Col Sherrill, OPD, for CofS, 1 Jun 42, WDCSA 000.7 Alaska; Memo, Admiral Willson, OCNO, for Gen Marshall, 2 Jun 42, OPD Exec 8, bk. 5; Memo, WPD for SW, 3 Jun 42, WDCSA 000.7 Alaska; Strength of the Army, 1 Nov 47, p. 42. 28. This paragraph and the two following are based principally on: Ltr, Hq Eleventh Air Force to CG ADC (about 10 Jun 42), sub: Summary of Operations to June 10th, WDC-ADC 384-7, vol. II; Morison, Coral Sea, Midway and Submarine Operations, pp. 175-78; Craven and Cate, eds., Plans and Early Operations, pp. 462-69. 29. Japanese Monograph 45, pp. 51-53; Japanese Monograph 88, pp. 26, 33; USSBS, Interrogations of Japanese Officials Intervs, 99, Comdr Nifumi Mukai, 22 Oct 45; 101, Capt Taisuke Ito, 11 Oct 45; and 367, Vice Adm Sentaro Omori, 15-16 Oct 45. 30. Official Hist of the Alaskan Dept, ch. III; Samuel Eliot Morison, Aleutians, Gilberts and Marshalls, June 1942-April 1944 (Boston: Little, Brown and Company, 1951), pp. 3-12; Wesley Frank Craven and James Lea Cate, eds., THE ARMY AIR FORCES IN WORLD WAR II, vol. IV, The Pacific--Guadalcanal to Saipan, August 1942 to July 1944 (Chicago: The University of Chicago Press, 1950) pp. 359-66. 31. Min, JCS 20th Mtg, 15 Jun 42, ABC 370.2 Alaska (5-19-42); paraphrase of Rad, COMINCH to CINCPAC, 15 Jun 42, sent by CofS to CG WDC, 16 Jun 42, OPD 381 Japan (3-7-42), sec. I. 32. Various messages, dated 15-18 Jun 42, in OPD 381 ADC and AG 381 (12-5-41) (2); Gen Council Min, 23 Jun 42; Memo, Maj Joe E. Golden, OPD, for ACofS G-2, 15 Jul 42, OPD 384 WDC (3-17-42); Official Hist of Alaskan Dept, chs. III and XXI. 33. Rad 1628, CofS to CG WDC, 12 Aug 42, AG 452.1 (7-24-41) (1); Strength of the Army, 1 Nov 47, p. 42; Craven and Cate, eds., The Pacific--Guadalcanal to Saipan, pp. 366ff; Dziuban, Military Relation Between the United States and Canada, 1939-45, pp. 252-54. 34. 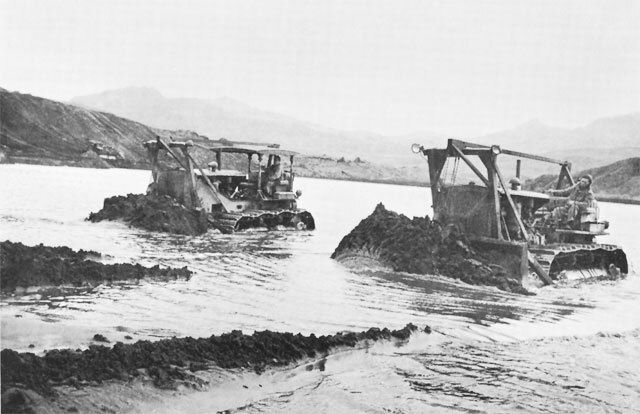 Rad, CG WDC to CofS, 14 Jun 42; Memo, CG WDC for CofS, 21 Jun 42; and Ltr, CG ADC to CG WDC, 30 Jun 42. All in WDC-ADC 384-7, vol. III. 35. Rad, CG WDC for CofS, 23 Jun 42; Ltr, CG ADC to CG WDC, 23 Jun 42. Both in WDCSA 000.7 Alaska. Memo, CG WDC for CofS, 16 Jul 42, ADC 381 Def Plans, bk. 4; Matloff and Snell, Strategic Planning, 1941-42, pp. 258-62. 36. Memo, Maj Golden, OPD, for ACofS G-2, 15 Jul 42; Memo, Col Francis G. Brink MIS, for Chief, Intelligence Group G-2, 25 Jul 42; and Memo, OPD for DCofS, 8 Aug 42. All in OPD 384 WDC (3-17-42) sec. 1. 37. Memo, OPD for WDCMS, 6 Jun 42; Rad 072140, CG ADC to COMALSEC, 7 Jun 42. Both in OPD 384 WDC (3-17-42), sec 1. Rad 583, Gen DeWitt to Gen Marshall, 8 Jun 42, OPD Log File; paraphrase of Rad, Adm Theobald to Gen Buckner (about 12 Jun 42), WDCSA 42-43 Alaska. 38. Rad, Gen Buckner to Gen Marshall, 20 Jun 42, OPD Log File; Memo, Col Deane, SGS, for COB, 21 Jun 42, WDCSA binder, Notes on War Council; Min, War Council Mtg, 22 Jun 42, SW Conf, binder 2. 39. Rad 172, Gen Marshall to Gen Buckner, 17 Jun 42; Rad 661, Gen DeWitt to Gen Marshall, 17 Jun 42. Both in OPD Log File. Memo, Gen Marshall for Adm King, 28 Sep 42, WDCSA 42-43, Alaska. 40. Memo, ASGS for COB, 21 Jun 42, WDCSA binder, Notes on War Council; Memo, OPD for DCofS, 8 Aug 42, OPD 384 WDC (3-17-42). 41. Rad 212455, Gov Gruening el al. to Secy Interior, 20 Jun 42, OPD Log File; various papers, dated 9-28 Sep 42, in ABC 680 Alaska (9-7-42); Memo, Col Henry A. Barber, Chief, North American Theater Group, OPD for Brig Gen Wilton B. Persons, 19 Apr 43, OPD 384 WDC (3-17-42). 42. Ltr, Gen Marshall to Gen DeWitt, 3 Sep 42, WDCSA 42-43 Alaska. 43. Ltr, Gen DeWitt to Gen Marshall, 11 Sep 42; Memos, OPD for CofS, 5 and 7 Oct 42. All in OPD 384 WDC (3-17-42), sec. 1. 44. Memo, G-2 for CofS, 11 Jul 42, OPD Exec 10, item 7c. 45. Robert E. Sherwood, Roosevelt and Hopkins: An Intimate History (rev. ed., New York: Harper and Brothers, 1950), p. 584. 46. Min, JCS 20th Mtg, 15 Jun 42, ABC 370.2 (5-19-42); Draft message, Roosevelt to Stalin, 16 Jun 42, and Rad 227, Ambassador William H. Standley to Dept of State, 2 Jul 42. Both in WDCSA 42-43 Russia. The Soviet response states the President's message was delivered on 26 June. 47. See Matloff and Snell, Strategic Planning, 1941-42, pp. 342-46; Wesley Frank Craven and James Lea Cate, The Army Air Forces in World War II, vol. VII, Services Around the World (Chicago: The University of Chicago Press, 1958), ch. VI. 48. For details, see Craven and Cate, eds., Services Around the World, ch. VI. 49. Memo, CG WDC for CofS, 16 Jul 42, ADC 381 Def Plans, bk. 4. 50. Rads, COMINCH to CINCPAC, 5 and 22 Aug 42, both in WDC-ADC 384-7, vol. IV, contain the JCS Dirs on Tanaga and Adak; Rad, CTF 8 to CINCPAC, 15 Aug 42, WDCSA 42-43 Alaska; Memo, COMINCH for CofS, 18 Aug 42, OPD Exec 10, item 67a; Ltr, Gen DeWitt to Gen Marshall, 7 Sep 42, WDCSA 42-43 WDC; Official Hist of the Alaskan Dept, ch. XXI. 51. Rad 3616, CG WDC to CofS, 8 Sep 42, WDC-ADC 384-7, vol. IV; OPD interoffice Memo, 9 Sep 42, OPD 381 Alaska, sec. 1. 52. OPD Diary, 4 Sep 42; Memo, CofS for OPD, 8 Sep 42, and attachments, OPD Exec 10, item 67b; Official Hist of the Alaskan Dept, chs. III, XXI. 53. Craven and Cate, eds., The Pacific--Guadalcanal to Saipan, pp. 370-71; Official Hist of the Alaskan Dept, app. B, Summary of Air Operations; OPD Diary, Sep-Oct 42; The Aleutians Campaign (Washington, 1945) (ONI Combat Narrative), pp. 18-22. 54. The quotation is from a paraphrase of the Army Imperial GHQ order of 25 Aug 42 (24 August, Alaskan dating), in Japanese Monograph No. 46. This monograph, and Nos. 45 and 88, are the principal sources for the above summary. 55. Memo, Adm King for CofS, 12 Oct 42, OPD Exec 10, item 67b; ltr, Gen Marshall to COMINCH, 17 Oct 42, WDCSA 42-43 Alaska; Morison, Aleutians, Gilberts and Marshalls, pp. 14-15. 56. Memo, OPD for COB, 28 Sep 42, OPD 381 Alaska, sec I; Memo, Gen Marshall for Adm King, 1 Oct 42, WDCSA 42-43 Alaska. 57. Memo, CofS for SW, 12 Jan 43, WDCSA 42-43 Alaska (a review of the proposals and actions leading up to the occupation of Amchitka); Rad 2062, CofS to Gen DeWitt, 15 Oct 42, WDCSA 42-43 Alaska Rad, Gen DeWitt to Gen Marshall, 17 Oct 42, OPD Exec 10, item 67b; Rad, CG WDC to CG ADC, 1 Nov 42, ADC 381 Def Plans, bk. 5. 58. 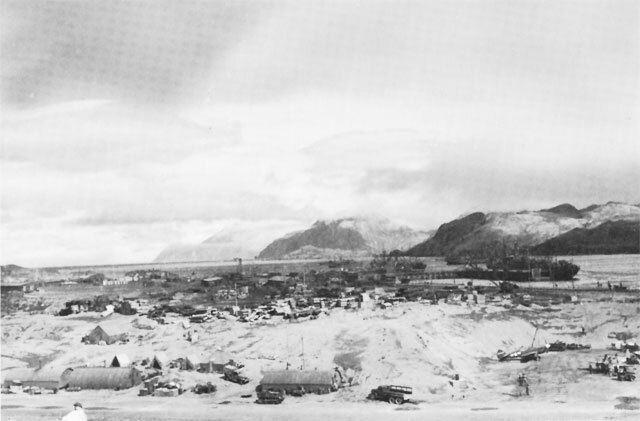 Rad 223, CG WDC to CofS, 18 Dec 42, OPD Log File; Memo, CofS for SW, 12 Jan 43, WDCSA 42-43 Alaska. 59. Memo, Adm King for CofS, 15 Dec 42; Memo, Gen Marshall for Adm King, 16 Dec 42; and Memo, CofS for SW, 12 Jan 43. All in WDCSA 42-43 Alaska. Rad 244, CG WDC to CofS, 20 Dec 42, OPD Log File. 60. Official Hist of the Alaskan Dept, ch. III; Morison, Aleutians, Gilberts and Marshalls, p. 18; Craven and Cate, eds., The Pacific--Guadalcanal to Saipan, pp. 374-76.